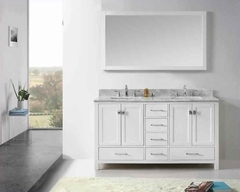 This designer chest of drawers features a contemporary and modern design with five drawers. It provides you with the ultimate storage space and a display area for your favorite artifacts. The chest is crafted with a durable framework with high quality wood and dainty, but sturdy legs. 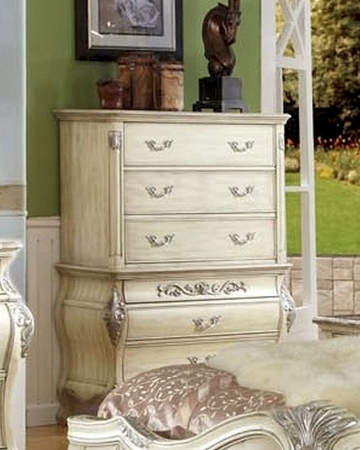 The chest is available in a sparkling white and cherry brown finish. It is embellished with artistic molding and carvings. This piece with a straight line design occupies minimal space in your room.